Best downtown ' tenmonkan' is good located in Southern Kyushu, that is, walking range. BAR establishes it as an annex in the first floor part. 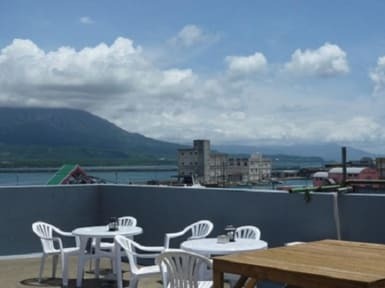 Sakurajima is good at the view from the rooftop. Showers, the Internet and common kitchen are opened free of charge for 24 hours. Air conditioning in all rooms. Wi-Fi in all floors. yen a night. Please ask us if our parking space is vacanted before you arrive at our hostel. As the building has no lift, it may not be suitable for people who can not manage stairs. Nice hostel, read about the lack of atmosphere but I got lucky. Lots of Japanese people having a good time. It could do with an upgrade here and there but overall it was fine, with enough privacy in the mixed dorm. Staff: meh. 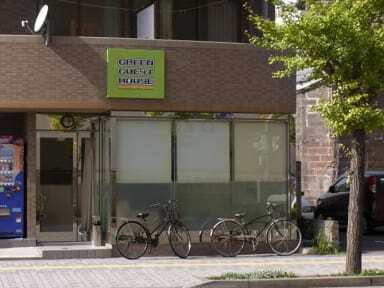 Friendly but not very good at English, not too helpful & a lot of time not behind the reception desk. Which is bad because everybody can just walk in.